A recently launched Earth-observing satellite is using the stars to practice its pointing, and caught a neat animation of Jupiter. 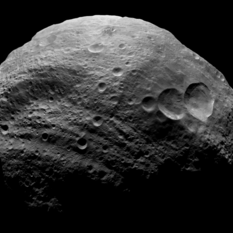 A few days ago, the Dawn mission finally published their archival data. 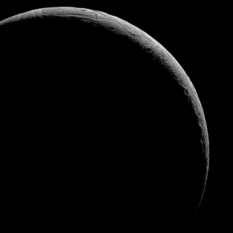 During the year of delay I often looked with anticipation to the Planetary Data System to check whether or not images were there, and I am delighted that they are finally available. Was the wait worth it? Definitely! That amazing image of Saturn's north pole just got better: now, it moves! Remember the amazing photo of Saturn's north pole that I posted yesterday? Now, thanks to an amateur image processor, it moves, and the motions of the individual clouds within the belts are mesmerizing. An animation of Curiosity photos shows changes in the weather. Happy Cassini PDS Release Day! It's a quarterly feast day for me: the day that the Cassini mission delivers three months' worth of data to NASA's Planetary Data System. Here's a few images processed from the October 1, 2012 data release. 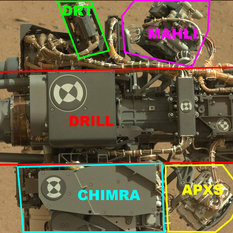 Engineers requested that Curiosity be driven to a "nice sandbox" to play in for the first soil sample, and it appears that a sand drift named Rocknest satisfies that requirement. Curiosity has been shooting photos of the Sun as Phobos and Deimos cross its face, and -- as far as I can tell -- captured sunspots as well. Curiosity has completed Commissioning Activity Period 2 and is on the road again. I asked Daniel Limonadi to explain a couple of the photos of tests being performed on CHIMRA, and took the opportunity to ask him an amusing question that came up during a previous Google+ Hangout. 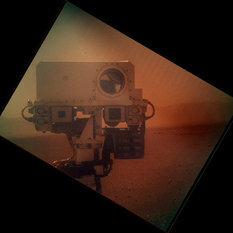 Curiosity's much-anticipated self-portrait with the MAHLI camera just arrived on Earth, and even though it was shot through the dust cover it is AWESOME. 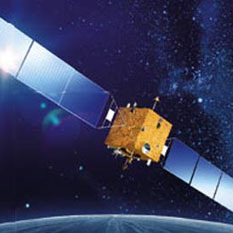 An update on China's second lunar orbiter, Chang'e 2, which is now heading for asteroid Toutatis.